When medical personnel suspect a patient has meningococcal meningitis, a degree of panic ensues, even for the most confident of medical professionals. Why is that? The fact that meningococcal meningitis tends to strike young and healthy individuals and can progress over a matter of hours to multi-organ system failure or death is particularly anxiety provoking. Meningococcal disease refers to any disease caused by the Neisseria meningitides bacteria. This is one of the most serious and devastating bacterial infections a person can get. Its most feared complication is meningitis, an infection and inflammation of the fluid and lining around the brain and spinal cord, which can have devastating consequences. Younger children and some adults who are high risk may also need the vaccine. Your doctor may recommend more than 1 type of meningitis vaccine to ensure complete coverage against meningococcal meningitis. Let me tell you about my friend Kyle. In 1995, Kyle was a healthy 16-year-old high school student who woke one morning with a severe headache and high fever. His mom noticed he was acting a little "off" but assumed it to be just the fever. About eight hours later she noticed a rash and that Kyle was having trouble standing on his own. She took him to the ER where doctors quickly recognized the signs and symptoms of bacterial meningitis and immediately administered antibiotics before even getting confirmatory lab work, because with bacterial meningitis, immediate treatment is essential. Kyle was admitted to the ICU for a week, and his parents were told his prognosis was bleak. 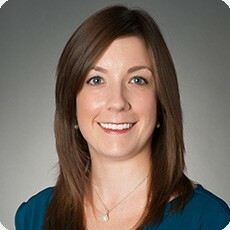 Jenica Rose-Stine, DO is a pediatrician at Cook Children's Willow Park pediatrics - 136 El Chico Trail, Ste. 102 Willow Park, Texas 76087. Dr. Rose Stine is enthusiastic about several areas of pediatrics including development, safety and prevention, and nutrition and she thoroughly enjoys her interactions with first-time parents and their newborns.